The Congressional Budget Office has released a new report in which it says the federal government is likely to run out of money earlier than expected. The Congressional Budget Office projects that if the debt limit remains unchanged, the ability to borrow using extraordinary measures will be exhausted and the Treasury will most likely run out of cash in the first half of March 2018. 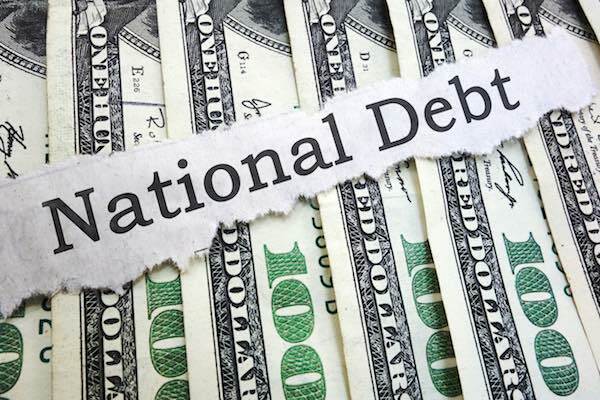 If that occurred, the government would be unable to pay its obligations fully, and it would delay making payments for its activities, default on its debt obligations, or both. The revised calculation is based on anticipated effects of recent tax legislation and the actual spending and revenue amounts in December. In December I wrote to Congress providing notification of my determination that a “debt issuance suspension period” (DISP) would last until January 31st. As Congress has not acted to suspend or increase the debt ceiling, I have determined that the DISP will be extended into February and will be notifying Congress as such. I respectfully urge Congress to act as soon as possible to protect the full faith and credit of the United States by increasing the statutory debt limit. Some of these measures have a direct impact on federal employees. One of these measures involves borrowing money from the G Fund inside of the Thrift Savings Plan. Continue to suspend the investments of the Thrift Savings Plan’s G Fund. Otherwise rolled over or reinvested daily, those investments totaled $69 billion in Treasury securities as of December 31, 2017. The make-whole provision means that TSP participants who have invested in the G Fund will not lose anything. The G Fund account balances would be exactly the same from day to day as if they were invested in Treasury securities. Furthermore, disbursements of TSP loans and withdrawals would not be delayed, nor would the amounts of those payments be reduced. Another measure involves the Civil Service Retirement and Disability Fund (CSRDF) and the Postal Service Retiree Health Benefts Fund (PSRHBF). Continue to suspend the issuance of new securities for the CSRDF and the PSRHBF, which total about $3 billion each month. The CSRDF provides defined benefits to retired and disabled Federal employees covered by the Civil Service Retirement System (CSRS). This fund invests in special-issue Treasury securities, and these securities count against the debt limit. « How Do You Rate President Trump’s Performance After His First Year?